Like many of you, I try to learn something new about a country’s history and culture before the ink has dried on my passport stamp. Fortunately for those attending 7in7 this year (in person or in spirit! ), Colombia has a rich literary tradition that makes it difficult to narrow down a list of recommendations. Whether your Spanish is absolutamente perfecto or you’re still un principiante, check out one of the following in preparation for your time in Medellin! 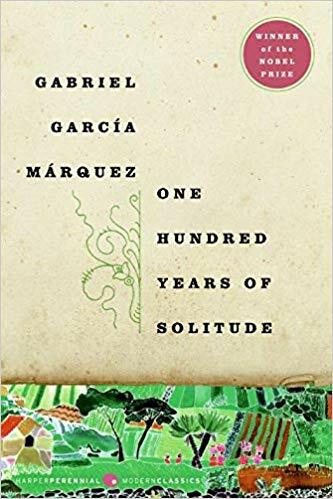 If you haven’t read anything by celebrated Colombian author Gabriel Garcia Marquez (or only read the SparkNotes version for your high school English class), you’re in for a treat. Even readers who trend toward nonfiction will find themselves engaged by the words and worlds constructed by the Nobel prize winner. After you’ve finished 100 Years of Solitude, graduate to some of the author’s many other works such as Love in the Time of Cholera or The General in his Labyrinth. 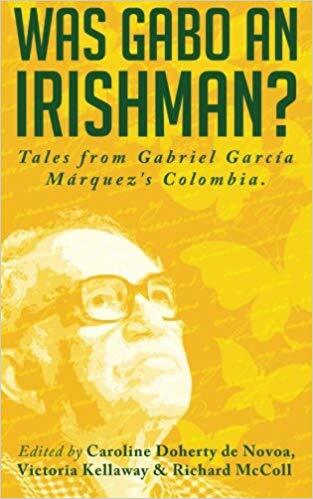 Was Gabo an Irishman? is a collection of 26 essays by non-Colombian authors that called Colombia home at some point in time. Containing layers of historical and cultural insights, this collection seeks to examine Gabriel Garcia Marquez’s relationship to his home country, the impact of that relationship on his work, and the impact of his work on future generations. I recommend this collection for those interested in hearing about Colombia from multiple perspectives. 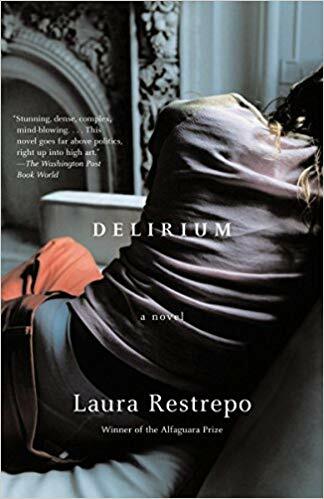 Set in Bogota in the 1980s, Delirium tells the tale of one woman’s personal struggle with mental health against a backdrop of Colombian society in the throes of the drug trade. Described as “a passionate, devastating tale of eros and insanity in Colombia,” Delirium is guaranteed to hold your attention for the entire flight over. 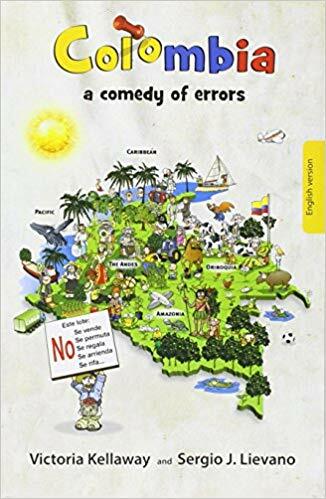 Those seeking an entertaining way to get up to speed on Colombia’s history, complexity, diversity, people, and beauty will certainly enjoy Colombia: A Comedy of Errors. Written by a British journalist and Brit-Colombian artist, this 150-page read is both educational and injected with classic British humor that will have you rolling your eyes. It’s a comic book that self-describes as “an anthropological analysis of Colombia which studies the Colombian gene and unveils the forgotten blueprint of its people.” Get a taste of the book with a preview on their Facebook page! 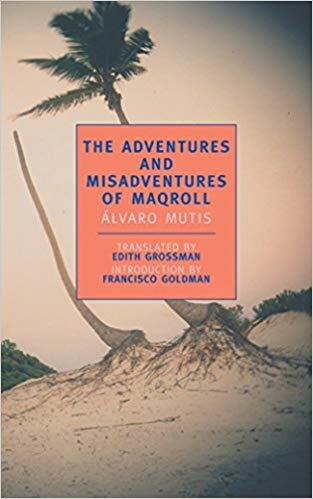 This impressive tome published in 1992 by Colombian poet, novelist, essayist and author Alvaro Mutis contains 7 distinct but related novellas across which the adventures of Maqroll the Gaverio unfold. Maqroll, the main character, is described as “a Don Quixote for our day” due to his “extravagant and hopeless undertakings, his brushes with the law and scrapes with death, and his enduring friendships and unlooked-for love affairs.” As with many complex, daunting reads, this collection seems to be both polarizing and have acquired a cult-like following. Colombian author Patricia Engel is the first woman to be awarded Colombia’s national prize in literature, the Premio Biblioteca de Narrativa Colombiana for her debut novel, Vida. 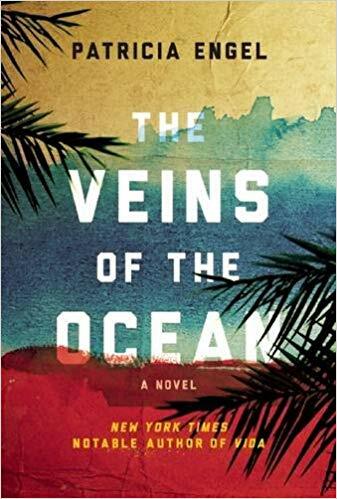 Her most recent work, Veins of the Ocean, explores family, identity, guilt, and love across multiple locations including Colombia. Plus, Roxanne Gay gave it a glowing 5-star recommendation on Goodreads so what more do you need? Throw a few of the above works on your to-do list so you can be a more informed visitor to Colombia and we can have lively discussions at 7in7! Have recommendations to add to this list? Comment below! *In fact, the roots of magical realism can be traced to Kafka and 1920s Germany. The Latin American magical realism present in the latter half of the 20th century is considered a resurgence of the genre. An expert at choreographing flash mobs, Tracy is building a sustainable location-independent business to continue living nomad life on her own terms, and to give focus to the most important part of travel... eating delicious foods.